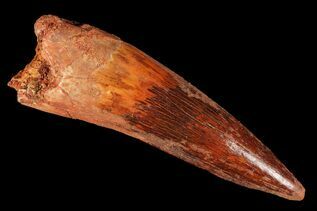 These are real fossil Spinosaurus teeth from the Late Cretaceous (~95 Million Years) near Kem Kem Basin, Morocco. 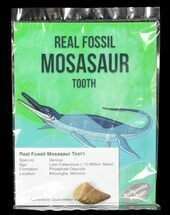 The photos of representative of the fossil tooth you will receive and the packaging that it comes in. 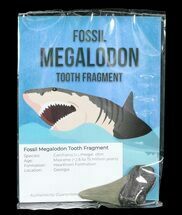 The teeth are mostly 1-2" in length. 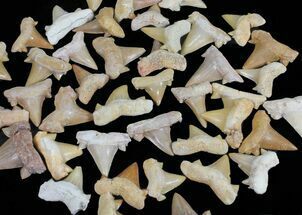 These aren't perfect teeth, most will have feeding wear, repaired cracks, minor restoration, etc. 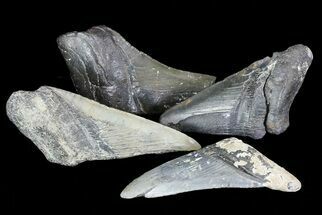 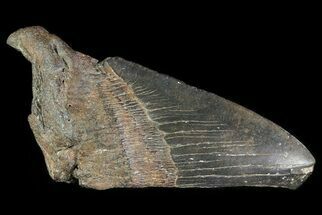 We have higher quality (more expensive) teeth for sale individually photographed in our Spinosaurus Tooth section. 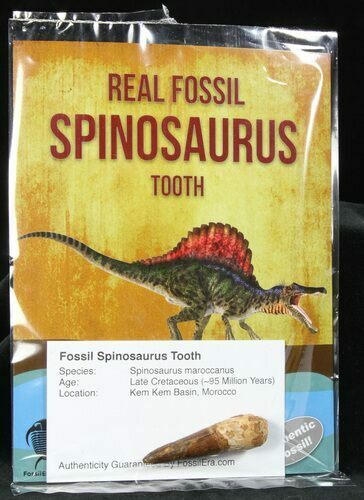 Each fossil Spinosaurus tooth comes nicely packaged along with an information card and authenticity guarantee. 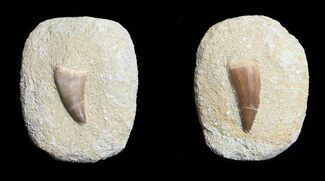 For larger, higher quality teeth, please check out our individually photographed specimens.